Before we start, a few words for this tutorial. 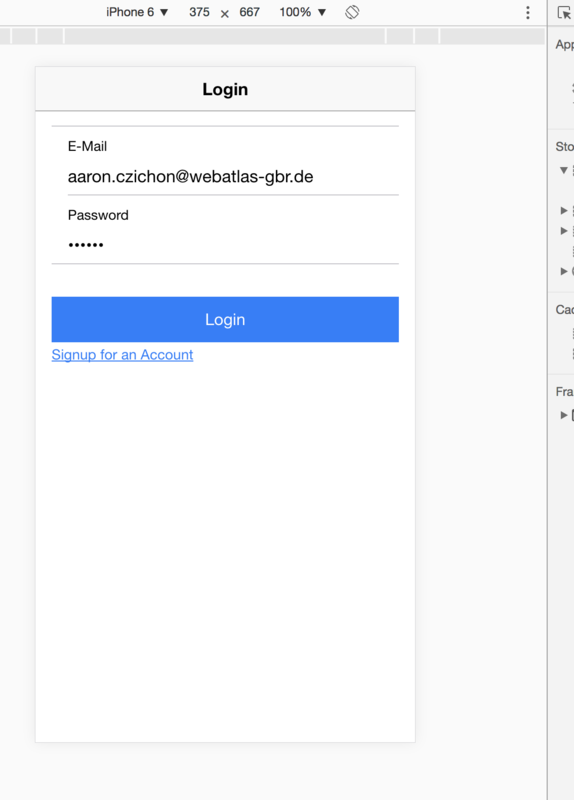 In this tutorial we’re going to reuse the created application with the corresponding Firebase project we’ve created in the Ionic and Firebase Authentication article. We’ll in this article we’ve already created a new Ionic application, created a new Firebase project, added the Firebase and AngularFire2 SDKs and implemented the Firebase authentication. 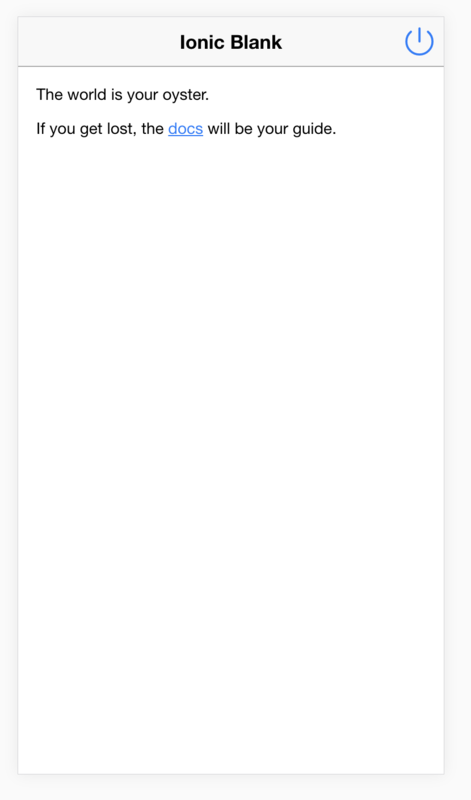 So we now have a working Ionic application with a Firebase authentication to signup and/or login a user and detect them. Okay fine, so what’s the actual status? Before we could start implementing the upload and taking the picture we need to add the camera plugin. We need to run two commands from the command line. 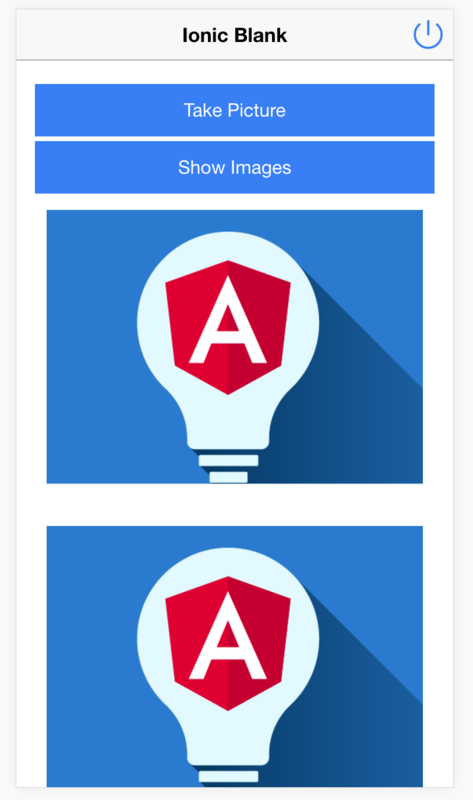 One for adding the Cordova plugin to our project and one for installing the npm package of the Ionic Native plugin for the camera module. Hint: To avoid build and publishing errors on iOS because of missing camera usage description we need to provide this info at our config.xml for build times. We’ve now successfully added the camera plugin to our application. Before we could show some images, we should implement the uploader for a image. If you have worked with the Firebase SDK before the handling of the storage should be familiar to you. Like using the authentication or the database we have to create a storage reference. If we now want to create a new image on this storage within the users space we need two parameters for the image reference. The userId (which is a parameter of the uploadImage function and a image name which will be a UUID. For downloading the image we need to implement the getImage function which needs the user id and the image id as parameter. That’s it for the ImageProvider! We’re now able to upload images and show them inside your application. Next is to take a picture and upload it. Before we implement the function for taking a picture and uploading it, we need a new button to open the camera. For this switch to the home.html file and add a new button and remove the other code inside the ion-content tag. The next step is to add the takePicture function to our page component. Inside the home.ts file we also need the dependency of the camera module. This should be added with an import statement and a dependency parameter inside the constructor. This is your home.ts now. Inside the HomePage class we need an property for the camera options. It’s only three lines for taking the picture. For a working upload we now need the image data as a Base64 string, so wee need to extend the image data with the correct schema. That’s it! Image upload successfully implemented. Next is to extend the template file (home.html) with a grid for the images. Inside the page component HomePage we need to add the new array for the image urls. This method should now called after uploading a new image and after it was added to the image id list inside the takePicture function. Last we could add a second button for downloading the existing images without taking a new picture. That’s it. This is how your application should look like. You now have learn how to take a picture as a Base64 string and working with the Firebase Storage. You now able to write and read data from Firebase Storage and using it for larger files. Now it’s on your own if you extend your app with even more Firebase functionality for example by storing the image ids inside the Firebase Database rather than inside the localStorage. As always you can find the sample code at the Github repository. If you have any questions, let me now in the comment section below.